Imagine having the ability to review candidates at your leisure with pre-recorded interviews. How about having the capacity to assess potentially amazing candidates who you would otherwise disqualified due to currently living out of state? Yep, that’s pretty awesome too. 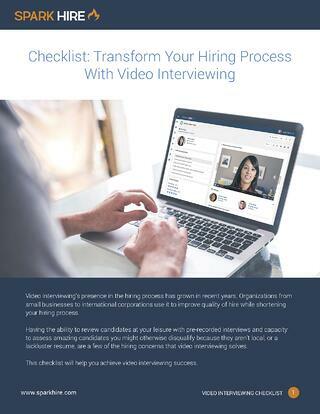 This eBook will provide some step by step instructions to properly implement video interviewing and help you achieve those goals (and more!). Ready to get your free eBook?